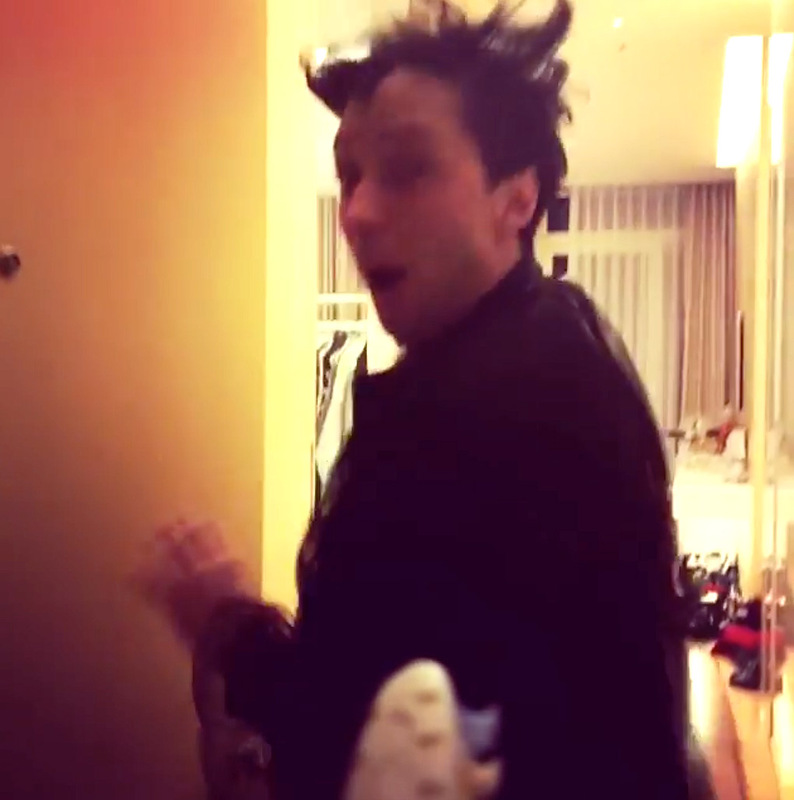 See Johnny Weir's Hilarious Reaction to Tara Lipinski Surprising Him Before He's Camera-Ready: 'I Took My Weave Out!' - Integration Through Media ....! The figure skating commentators for NBC, Tara Lipinski and Johnny Weir, are as well known for their over-the-top, elaborate on-air style as they are their accessible skating insight. They take every look very seriously, meticulously coordinating their outfits and rocking intricate beauty looks (Weir calls his hairstyles “amazing artistic structures” on top of his head). So what happens when Lipinski tries to catch Weir off-duty chilling in his hotel room? Find out when she walked in on him before he was camera-ready! In a silly (and sneaky) Instagram video, Lipinski told her followers that she missed having an adjoining room with Weir. So to cure her case of #FOMO, she decided to take a walk over to his room to see what he was up to. “Not having an adjoining room is horrible. I hate it,” she said in her video. So she furiously rang Weir’s doorbell to catch him weave-free in a half-completed outfit. After running away from her and closing the door in her face, a distraught Weir came back on camera to explain that he was trying on looks for the next day. “What’s is with the hair?” Lipinski asked about his disheveled strands. “I took my weave out,” Weir explained. Lipinski laughed uncontrollably throughout the clip, which shows just how close these two Olympic figure skaters-turned-anaylsts are. After an impressive style streak so far in South Korea, they’re saving a very special outfit for last. In honor of the 20th anniversary of Lipinski’s gold medal win, they revealed that they will wear gold looks during the women’s individual event. But they aren’t giving up any more details. “We can’t give everything away,” Weir said.